Welcome to Turf Lawns, Premium Turf Suppliers in Warwickshire and its surrounding areas. Here at Turflawns our Premium Lawn Turf is cut in the preferred 24" wide rolls. 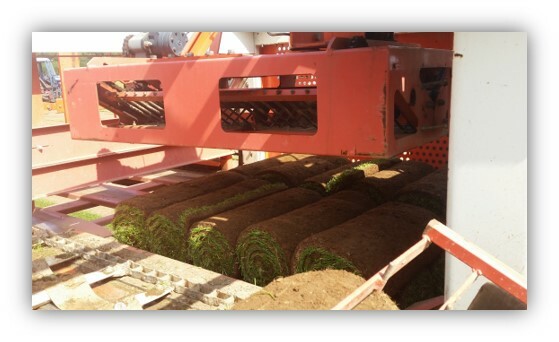 We harvest the turf with a high tech, one man operation turf harvester that cuts 24" wide rolls. The floating head ensures consistent turf and we change our blades regularly so that the edges of the turf are not torn or stressed.Our Premium Lawn Turf is grown to a very high standard. It is grown from a seed mixture that we select. It is grown to be Durable and Hard wearing as well as very nice in appearance. Where do we deliver turf to? We supply turf anywhere in Warwickshire, including Rugby and Leamington Spa. We also supply turf to the surrounding areas including: Birmingham, Coventry, Solihull and Shropshire. How quickly can we supply your turf? We deliver Tuesday through to Friday. If an order is placed before 11.00 then we can deliver the next day…At no extra charge. What type of turf do we supply? We only supply one type of turf. 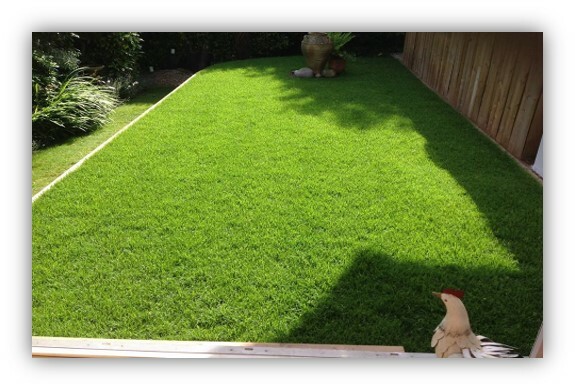 It is a Premium Seeded Lawn Turf, grown to the highest standards using the finest seed mixture. Our Lawn Turf is grown to be extremely durable and hardwearing allowing practicality, and the same time offers a uniformed finish and a stunning looking lush lawn. How do you get a price? How do you order your turf? Again, you can call the office 7 days a week to place your order, or alternatively you can order online using our simple order form. You can pay safely and secure online or select the “Pay by phone” option and one of our team will give you a call back at your convenience to take a card payment over the phone. What is the best time of the year to lay your new Lawn? Please refer to our Turf calendar at the top of the page.